So maybe you made some resolutions this as the new year is upon us, but how are you supposed to keep track of all your resolution-related tasks with only two crummy dimensions? Hmm? Yeah, you're going to want at least three dimensions of to-do management, and that's where Zime comes in. 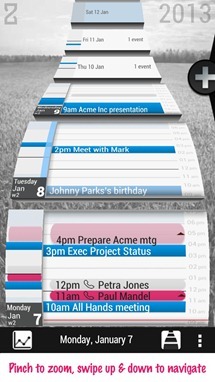 This app is still in beta, but it's a really cool, flashy to-do list that relies on a gesture-controlled timeline view. 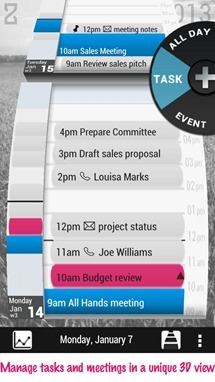 Zime automatically plugs into your Google Calendar and displays events in a smooth conveyor belt UI. You can add events on your Google Calendar from within Zime, but these are different from tasks on your Zime to-do lists. 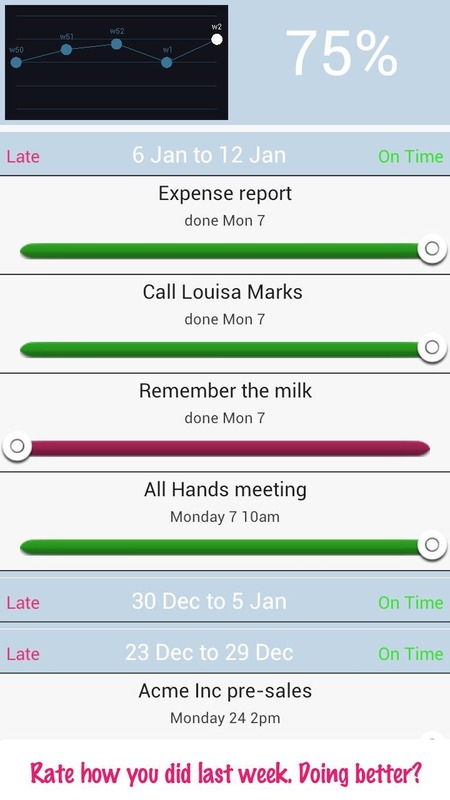 Zime tracks all your tasks and can let you know when they're due. 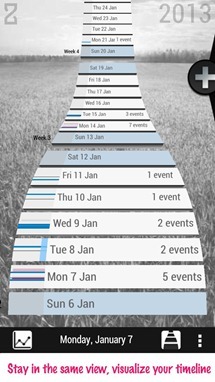 You can pinch and zoom to expand each day for more detail, or zoom out to see more days at once. I don't know how useful this is, but it's really fun to play with. 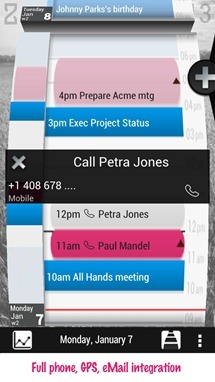 Keep in mind this is a beta, so some features – like Google Tasks sync – are missing. 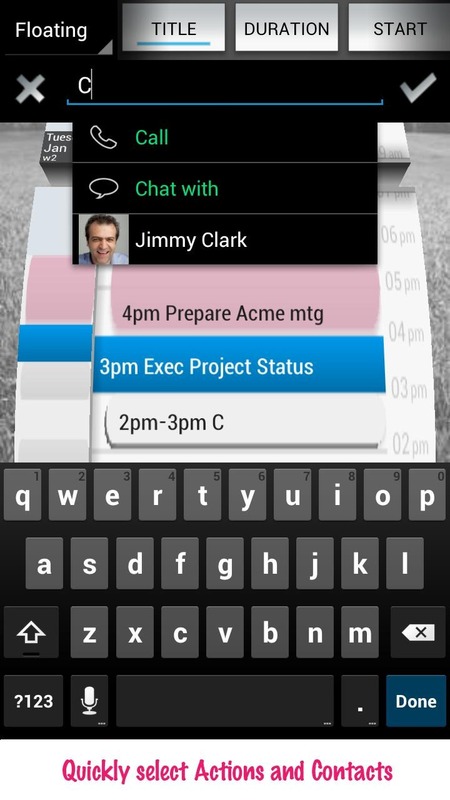 Zime is also only available on phones at this time. 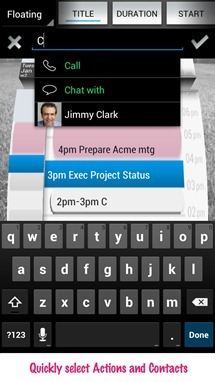 This app is free to all interested parties, at least for now.